Does the Supermoon Phenomenon Cause Earthquakes and other Natural Disasters? What is the Supermoon Phenomenon? Supermoon is an astrological term for a full Moon at perigee – an event where the Moon, in its elliptical orbit, is at its closest approach to Earth. The term was first invented by an astrologer Richard Nolle in an article published in the 1979 issue of the Horoscope magazine.1 Nolle’s website has a detailed description about this phenomenon, complete with his own arguments and reasons. This astrological term for the lunar perigee, as well as the arguments put forward by Richard Nolle are not accepted by astronomers and scientists. The Moon revolves around the Earth in a slightly elliptical orbit. When it is at its closest approach to the Earth, (as close as 220,000 miles), it is known as lunar perigee. At apogee, the Moon is farther away, as far as 254,000 miles away from our planet. Since the Moon orbits Earth in an ellipse every month, we have perigee and apogee occurring every two weeks. At perigee, when the Sun, Earth and the Moon are aligned (i.e. Full Moon), astrologers like Richard Nolle claim an “extreme supermoon” event, which, according to them, is responsible for natural disasters such as earthquakes, volcanoes and extreme weather conditions. March 19th, 2011 “supermoon”, i.e. Moon perigee, was the closest moon since 1992. However, any such event is not noticeable to the naked eye unless one uses a good telescope, makes accurate measurements and compares them with previous perigees. On that date, the Moon was actually 1 percent closer than it has been in 19 years. According to NASA astronomer Dave Williams, the Moon was “brighter than a normal full Moon” on March 19th, which is the only noticeable aspect of the event2. However, astrologers and doomsday soothsayers believe that the full Moon at perigee is responsible for natural disasters. They believe that the gravitational attraction of the Moon triggers earthquakes and other natural disasters. During lunar perigee, the gravitational effect of the Moon on Earth is quite strong, and this causes earthquakes and volcanoes. 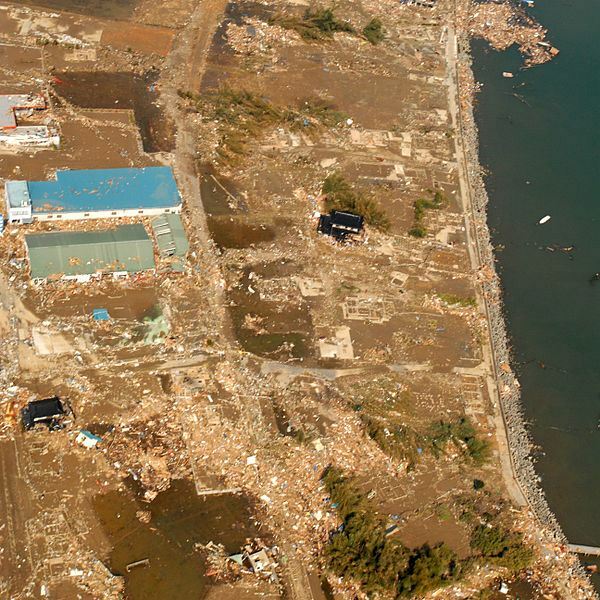 They also link the March 11, 2011 earthquake and tsunami in Japan to the March 19th Moon perigee. To support his theory, Richard Nolle cites several examples of the supermoon connection with major disasters in history, including the Turkmenistan earthquake on October 6, 1948 and the Mount Pinatubo volcanic eruption, both occurring within 3 days of a supermoon. He also argues that February 28, 2010 syzygy [alignment of three celestial objects] at perigee was the major cause of storm and moderate seismic activity, which ran from February 25 to March 3. Does a Supermoon Cause an Earthquake and Other Natural Disasters? Scientists don’t support the “extreme supermoon”-earthquake connection and believe that the March 19th lunar perigee is not responsible for the earthquake and tsunami in Japan. NASA astronomer Dave Williams asserts that on March 11, 2011 – the day when earthquake rattled the Tohuko region of Japan – the moon was actually much closer to its farthest point in orbit (about 240,000 miles away from Earth) from our planet. At the time of the earthquake, the Moon was not at its closest point in its orbit and hence the gravitational effect of the Moon was quite less than the average.3 This clearly negates the assumption that the Moon’s gravitational pull was responsible for the earthquake in Japan. When the Sun, Earth and Moon are aligned, we have a full Moon or new Moon day, which causes ocean tides and Earth tides. When the Sun, Earth and the Moon are aligned at perigee, the tides (high tides and low tides) are at their peak. This, according to geologists, can slightly increase the seismic activity in areas such as the Pacific Northwest. Seismologists like John Vidale, director of the Pacific Northwest Seismic Network, assert that the full Moon can cause land tides, but a “very small increase in tectonic activity” has been observed when the Sun, Earth and the Moon are aligned. He also adds that “there is a less than 1-percent increase in the seismic activity in these areas.5"
While this news can be meat for doomsday prophecy experts and astrologers to back their claims, scientists say there’s no need to worry as the gravitational effect of the full Moon on Earth won’t have any significant effect on seismic activity. The supermoon phenomenon does not cause earthquakes and other natural disasters simply because the gravitational pull of our natural satellite only triggers ocean and land tides, not earthquakes. However, the ocean and land tides occurring during full Moon at perigee may be the reason for the slight increase in seismic activity in areas like the Pacific Northwest. However, the tectonic activity is quite low-intensity and shallow to cause a major earthquake. 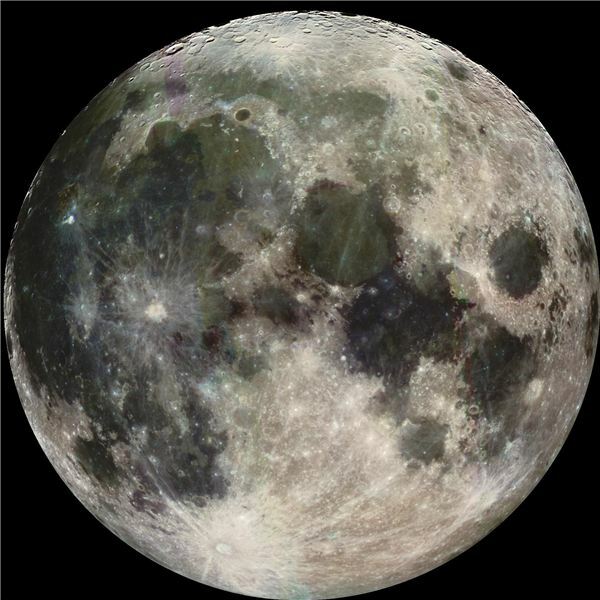 The brightest full moon of this year falls on May 5, 2012. The next “extreme supermoon” will be on November 14, 2016, and like the March 19, 2011 supermoon phenomenon, this too shall pass away with its share of arguments and controversies. But, one thing is certain, it will not be the cause of massive earthquakes, volcanoes and other natural events.